Brighton and Hove Albion star Pascal Gross has leapt to the defence of fellow compatriot Mesut Ozil amid the increasing scrutiny that the Arsenal star has received of late, The Argus reports. 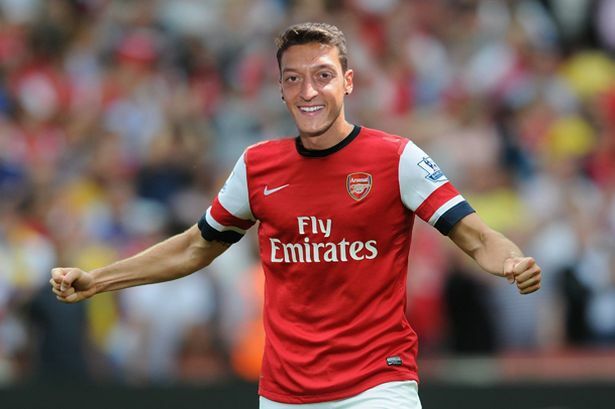 Ozil and Gross are set to come head-to-head at the Amex on Boxing Day, with the Arsenal ace’s future in doubt. Speculation has been rife in recent weeks about a possible departure for Ozil from the Emirates after struggling to maintain a position in Unai Emery’s starting XI this season. Ozil has started less than half of the Gunners’ games this season but Gross believes the German is misunderstood. He is a fantastic player, a fantastic technician. People talk about his body language. It’s not like me. If you are not having the best day or my team, you try everything until the end. That’s my character. Be the first to comment on "“Fantastic technician” – Unlikely Premier League star defends under-fire Arsenal star"